People have heard of the little old man who lived behind the hill. They have only ever heard rumors and only that. There are many tales old and new about him. Most people don’t dare go over the hill, but for those who did they always came back with accounts of what had happened. Nobody knows if these tales are true or purely fiction, but people still listen. All the stories differ each one worse from the last, but they all have one in common: they warn the listeners to never journey out there ever. One day a small boy named Tommie decided to venture over the hill to discover what lay beyond. The hill was quite a big one--but not quite a mountain--, so it took Tommie a few days to hike up and back down it. Once he finally reached the end of the mountain, he saw what lay beyond. 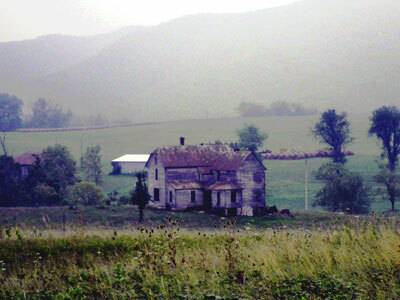 There was a small, quaint house in the middle of a grassy field. He strolled through the plain until he was a foot away from the house. The boy walked up to the dilapidated house and knocked on the old door. He waited for a few moments before knocking again. After the second knock he heard something shuffle inside. “Who’s there?” wheezed someone from inside. “Umm, it’s your grandson,” lied Tommie. He would be willing to do almost anything to explore the house. “William! I haven’t see you in ages. Come on it,” he croaked. The boy opened the unlocked door and walked inside the vast house. Although it looked small on the outside, it was quite roomy inside. “Come. Come. Sit boy. I just finished making some tea.” The boy walked over to him and sat down in the uncomfortable wooden chair. Tommie didn’t realize at first because he was too distracted by the intricate details of the house. Once he stopped examining the house, he finally looked to the man’s face. Where his eyes should be, there was just two gaping black holes. The boy gasped and staggered back, managing to fall off his chair. “Oh nothing, I just fell. I’m fine though. Well, I’ll be off now grandfather,” the boy lied again. Instead of leaving, he decided to venture into the basement of the house. He climbed down the long, steep staircase until he finally reached the bottom. It was pitch black down here, so Tommie put his hands out and groped around until he found a lantern. Prepared, the boy took out a match and lit the lantern up. With the light, the boy was able to see what was in the basement: Many large chests and piles of things such as taxidermied animals, dead animals, bones, crumpled papers, and lots of garbage. Out of curiosity, the boy shuffled over to one of the many chests. Surprisingly, there was no lock on the chest, so Tommie opened it. To his surprise, jewels lay atop each other in the chest. Tommie stared down at the chest in amazement, the jewels glinting in his eyes. He closed the chest, but made a mental note to take those home. He went to the next chest to find something similar, gold coins. The next chest had gold blocks. There were about ten chests in total, and they all contained something of value. Tommie--had a moderately wealthy family--decided to loot as many jewels and gold as he possibly could. He put on layers and layers of necklaces and bracelets, just so he could fit the other valuables in his hands and pockets. The boy heaved the jewels up the stairs and quietly opened the basement door. He was able to leave the basement without a sound. The old man had gone to sleep. No remorse coursed through Tommie’s body because he left plenty enough for the old man. Tommie had almost made it through the house when he stepped on a floorboard. CREAK! The old man shifted and awoke. Noticing this, Tommie quickly ran to the door, but he was too late. The man was faster. In an instant, the old man managed to be in front of the door blocking the boy. “YOU ARE NOT MY GRANDSON! YOU HAVE TRIED STEALING FROM ME! I HAVE WAITED FOR THIS MOMENT FOR MILLENIA! NOW YOU MUST WAIT UNTIL SOMEONE COMES TO STEAL YOUR THINGS!” The boy whimpered before being taken in the hands of the old man. He squeezed the boy's neck until he was unconscious and laying on the floor. When the boy woke up, he left the house with a smirk on his face. He traveled across the hill back into town. He told the story of his adventure to the townspeople. When they all dispersed and he was left alone, he had that same smirk on his face. I am inspired by all the books and short stories I read. In this short story, I tried to incorporate things that I enjoy reading about and things that I find interesting.